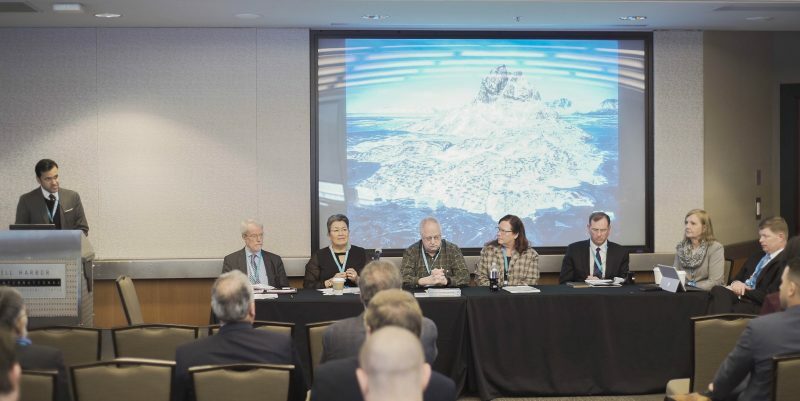 On 19 April 2018, Polar Research and Policy Initiative (PRPI), together with the Canadian Studies Center at the Henry M. Jackson School of International Studies at the University of Washington, hosted the 7th High-Level Dialogue on ‘Sustainable Development Goals (SDGs) in the Arctic’ at the Bell Harbor International Conference Center in Seattle. 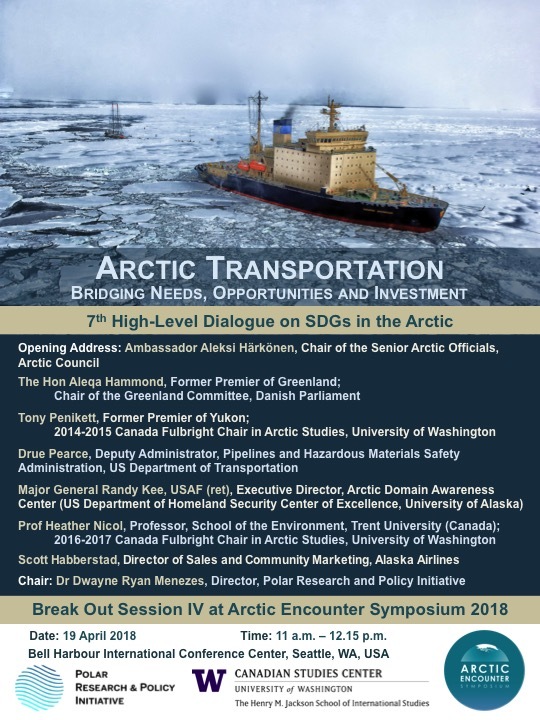 The dialogue was convened on ‘Arctic Transportation: Bridging Needs, Opportunities and Investment’; held at the 2018 Arctic Encounter Symposium, the largest annual Arctic conference in the United States; and was chaired by Dr Dwayne Menezes, Founder and Director of PRPI. Following an opening address by Ambassador Aleksi Härkönen (Finland), Chair of the Senior Arctic Officials at the Arctic Council, affirming the importance of the topic to the Finnish chairmanship of the Arctic Council, we had short presentations by six distinguished speakers drawn from policy, academia and industry.